Before your next doctor’s appointment, follow the Boy Scout motto and ‘be prepared.’ You’ll likely only get a few precious minutes with your doctor so you need to plan what you will say and ask in order to make the most of your appointment. The first step to getting the most from your doctor’s appointment is to let the receptionist know the reason for your visit so an appropriate amount of time will be reserved with your physicians. Jot down your health concerns, your aches and pains, your worries etcetera. Bring the list with you. 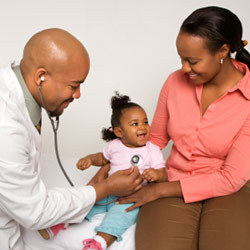 This works well during visits with your child’s pediatrician. “Parents often have a lot of questions,” says Dr. Eisman. “I will likely answer some of them during the exam; afterwards we can discuss remaining concerns. Dr. Dawes encourages patients to talk about their worries. This process may reveal relevant family history and bring to light an alternative diagnosis. For more information on self-management and living a healthy life with chronic conditions, visit mytoolbox.mcgill.ca .